All eyes now turn to President Cyril Ramaphosa who will deliver his State of the Nation address tomorrow evening. The rand closed at R13.51 to the greenback. The day's range was between R13.37 and R13.51. OVERVIEW: Stocks in Europe struggled for traction after a drop in German factory orders added to signs that the region’s economy is losing momentum, while mixed reports from corporate heavyweights offered little direction. The dollar extended gains alongside US Treasuries. The Stoxx Europe 600 gauge pared a drop to trade little changed after six days of gains, with car makers among the laggards after Daimler AG’s cautious tone reignited concern about global trade. Technology stocks rallied, however, after some upbeat company reports. Futures on the S&P 500 index retreated as investors found few bullish catalysts in US President Donald Trump’s State of the Union address. Italian bonds edged lower before a debt sale. Asia saw another muted session as the Lunar New Year holiday continued. Australia’s dollar tumbled after the central bank chief signaled a shift to a neutral stance on policy. Further clues on what 2019 holds may come Wednesday from Chairman Jerome Powell’s first public comments following the January meeting and interest-rate decision. There’s also the looming meetings in Beijing next week between US Trade Representative Robert Lighthizer, Treasury Secretary Steven Mnuchin and their Chinese counterparts. And in his State of the Union speech, Trump said he will meet with North Korea leader Kim Jong Un in Vietnam at the end of the month. Meanwhile, West Texas oil dipped below $53 a barrel after an industry report pointed to a rise in US crude inventories. Copper climbed to its highest level this year, helping to boost Bloomberg’s industrial-metals index to near a four-month high. Among key events in the coming days: The US reports trade balance data for November. Markets are closed in China, Hong Kong, Korea, Malaysia, Singapore, Taiwan and also in New Zealand. Earnings season continues, with reports from Twitter, MetLife and Societe Generale Central banks in India and the UK set rates this week. The Stoxx Europe 600 Index declined less than 0.05% as of 10:08 London time. Futures on the S&P 500 Index dipped 0.2%. The MSCI All-Country World Index fell 0.1%, the first retreat in more than a week. The UK’s FTSE 100 Index sank 0.2%. The MSCI Emerging Market Index climbed 0.1% to the highest in about five months. The Bloomberg Dollar Spot Index increased 0.2%, reaching the highest in almost two weeks on its fifth straight advance. The euro fell 0.1% to $1.1391, the weakest in almost two weeks. The British pound gained 0.1% to $1.2957, the first advance in a week. The Japanese yen advanced 0.3% to 109.64 per dollar, the largest gain in a week. The yield on 10-year Treasuries sank two basis points to 2.68%. Germany’s 10-year yield fell one basis point to 0.16%. Britain’s 10-year yield decreased one basis point to 1.226%. Japan’s 10-year yield declined less than one basis point to -0.013%, the lowest in more than a month. 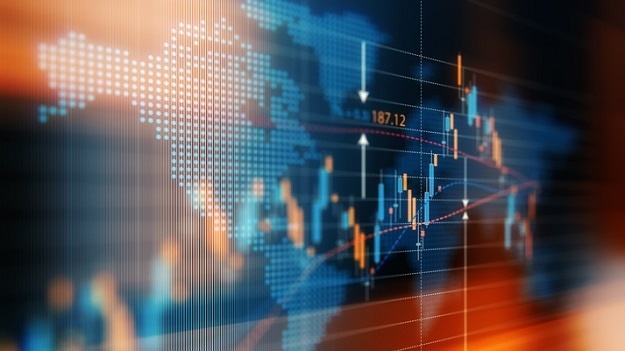 Bianca Botes, Corporate Treasury Manager at Peregrine Treasury Solutions said that the rand traded sideways for the most part of yesterday, after giving up some ground to the greenback. "Wednesday morning saw the currency market focus on the State of the Union Address of Donald Trump. Overall sentiment in the US is supported by the Fed’s dovish stance, while the focus fell on trade and immigration. "Market participants will look to the US GDP price index, housing starts and retail sales later today for direction and we can expect some bumpiness in emerging market crosses. "The rand has an expected range of R13.33 to R13.48 today." At 11:44, the rand was changing hands at R13.46/$. The rand traded in a very tight range on Wednesday, TreasuryONE's Andre Botha has said. By 09:54, the rand was trading at R13.46 to the greenback. “The market hardly reacted to President Trump's state of the Union address with the US dollar trading slightly stronger. Trump did not drop any bombshells and mainly stuck to the script regarding immigration, building a wall and Chinese trade policy. "Today, we have an inkling that the rand could trade sideways as it feels like groundhog day with a few events and data releases out today, much like the previous couple of days. Stocks in Asia saw another muted session Wednesday, with trading becalmed by Lunar New Year holidays. Australia’s dollar tumbled, along with its bond yields, after the central bank chief signaled a shift to a neutral stance on policy after long flagging prospective tightening at some point. The Australian moves were a rare bit of action in the region. Futures indicated little excitement at the start of European and US trading sessions as investors found little to spur new trades from US President Donald Trump’s State of the Union address. Japanese shares ended virtually flat, while those in Sydney eked out a modest increase after the S&P 500 Index posted a fifth day of gains on Tuesday. Oil held losses below $54 a barrel. Treasuries held steady and the yen edged higher. Global equities are getting close to levels not seen since November, in part spurred by the Federal Reserve’s tilt toward a neutral policy stance. Further clues on what 2019 holds may come Wednesday from Fed Chairman Jerome Powell’s first public comments following the January meeting and interest-rate decision. There’s also the looming meetings in Beijing next week between US Trade Representative Robert Lighthizer, Treasury Secretary Steven Mnuchin and their Chinese counterparts. That could pave the way for talks between the presidents of the two countries, with tariff increases threatened to kick in on March 1. In a State of the Union speech that had long passages on hot-button political issues such as immigration, Trump said he will meet with North Korea leader Kim Jong Un in Vietnam on February 27-28. Elsewhere, Reserve Bank of Australia Governor Philip Lowe made waves by shifting closer toward what market pricing has been signaling for some time for monetary policy. “Over the past year, the next-move-is-up scenarios were more likely than the next-move-is-down scenarios. Today, the probabilities appear to be more evenly balanced,” Lowe said in the text of a speech in Sydney Wednesday.